If you lead an active lifestyle, chances are that you know the enjoyment that portable music can bring to you. Whether you’re the type of person who spends hours at the gym, or one who enjoys long hikes in the woods, you know the true benefits of a quality set of earbuds can offer. 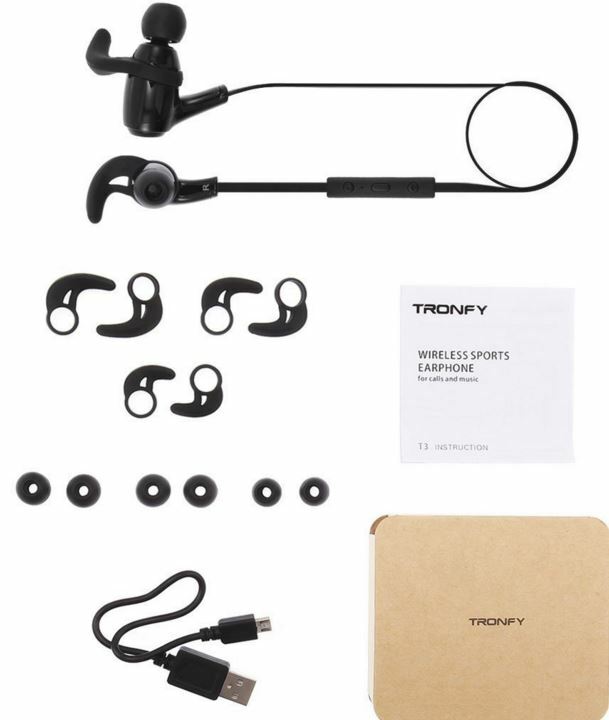 If you’ve been searching high and low but haven’t been able to pinpoint the right set of Bluetooth earbuds to invest it, let us introduce to you – the Tronfy Keepsport Bluetooth Earbuds. 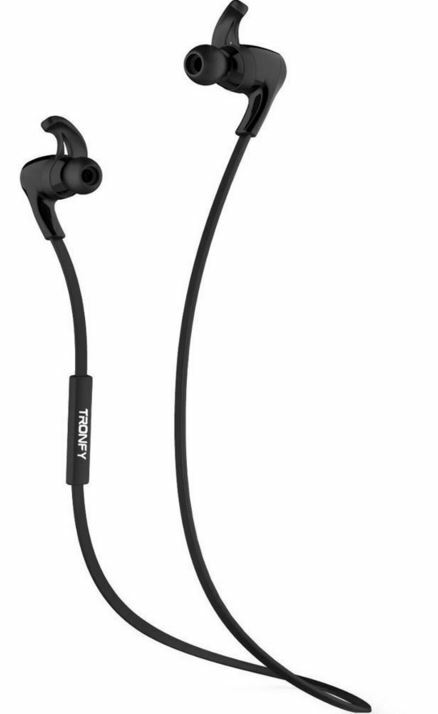 Built surprisingly well at a very attractive price tag, the Keepsport T3 (M4B) Earbuds by Tronfy offer a huge amount of value. We were lucky enough to receive a free pair to test out and write up our own honest review of them. To put it shortly, we love them, but allow us to give you more details about why they’re so impressive. From first glance, you’ll notice that the Keepsport Earbuds are slim in design and lightweight for ultra-portability. This works well with anyone who wants to use them for working out or doing other physical activities that require agility, movement, or endurance. However, it’s of the utmost importance to properly fit them to your ears if you expect them to stay cozy for hours at a time. With the included assortment of ear stabilizers and ear gels, you’re given full flexibility to size them exactly to your exact ear size. There’s three of each in a small, medium, and large size so all you need to do is simply switch them out and figure out what combination feels best. It doesn’t take long, maybe a minute or two to find your ideal size. Once you do, it’s time to put them to the test. 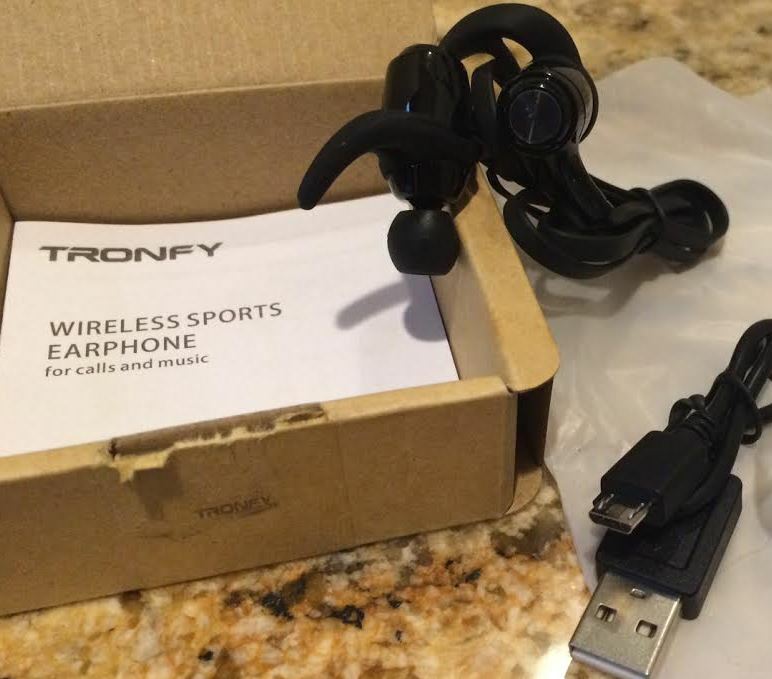 Since the Tronfy Keepsport Earbuds use the latest Bluetooth 4.0 technology, you’re given a generous amount of freedom with a fully wireless ability. First, you’ll need a Bluetooth capable device like your smartphone. Power up the earbuds and then scroll through the list of available Bluetooth connections on your iOS or Android device. Select the “Tronfy” connection and you’re good to go. Pairing is a very simple process, and best of all, your connection will always be remembered so you don’t have to go through the hassle of setting up a new connection each time you put them to use. With Tronfy’s advanced feature known as SignalPlus, you can even pair two devices at the same time. This can mean a huge different for those who want more ability to manage calls if you have two cell phones in the same area. Arguably the most important aspect of any set of earbuds has to be the overall sound quality. Utilizing the latest AptX audio decoding technology, the Keepsport Earbuds offer rich and diverse stereo sound. They’ve incorporated some of the newest advancements from CSR, a renowned manufacturer of some of the best wireless tech solutions for the consumer electronics market. Upon placing them into the ears, we were shocked at the overall sound quality that they had to offer. Although it’s crucial to achieve a proper fit before you use them, once you do, it’s easy to fall in love with them with your first listen. The lows sound deep and rich in bass, the mids are right on point, and the high tones are precise and delicate. Best of all, Tronfy incorporated an advanced noise isolating design so they keep out background noise so it never interferes or becomes a nuisance. Essentially they act as ear plugs to keep a solid momentum between you and your favorite tunes. Located on the band between the two earbuds is a small inline controller that gives you full range on a wide assortment of functions. Play, pause, skip tracks, and even take an incoming phone call – each one of these controls can be performed easily and without much effort. This keeps them in an accessible and convenient location for when you need to manage your music or pick up the phone. With the included micro USB cable, charging them up is a piece of cake. Inside is a rechargeable battery that offers up to 6 consecutive hours of listening or play time. There’s even a 200 hour standby time if you accidently leave them on. Although they come with a slight charge, it’s best to charge them up fully before you take them out with you. In a matter of about 60-90 minutes of being plugged into any USB port, the battery should be at full capacity and good to go for hours. What we really like is the onscreen battery meter that lets you check the exact level of remaining battery using your smartphone. Having this will assure that they don’t die unexpectedly and leave you with nothing to listen to when you’re away from home. Keeping them at the proper battery level is now easier than ever thanks to this feature. We’re always a huge fan of Bluetooth headphones or earbuds that offer a ton of value with a great listening experience. 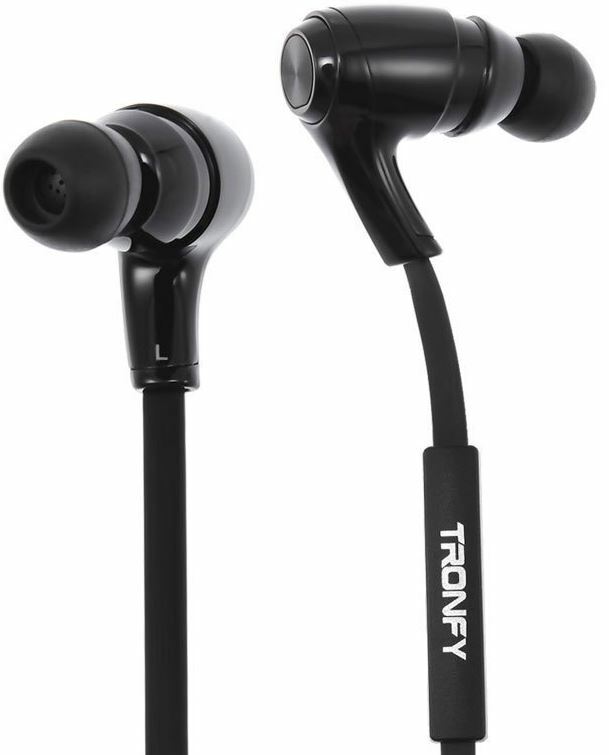 The Keepsport T3 (M4B) Earbuds by Tronfy are a winner in our book since they assure an excellent fit with some of the latest decoding technology to offer fantastic stereo sound. The full wireless freedom they offer is a great perk, but we’re most impressed with the portability they offer. Weighing in at just over an ounce, you can take them wherever you go and still enjoy your music to it’s full potential. For just under $20, it’s very difficult to find anything wrong with them. 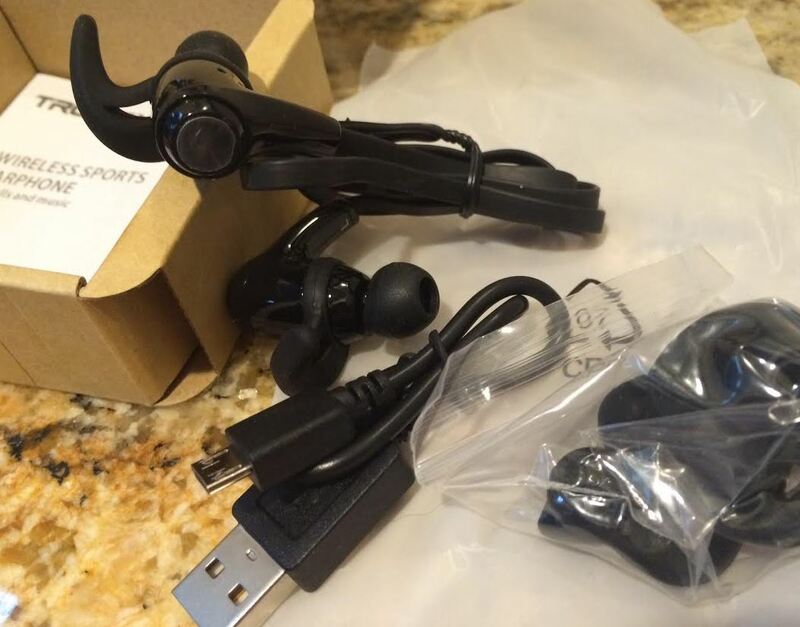 Tronfy did a fantastic job in the overall design and development of the Keepsport Earbuds and it carries through to offer a wealth of exciting technology to the budget-minded audio enthusiast.